Lt. 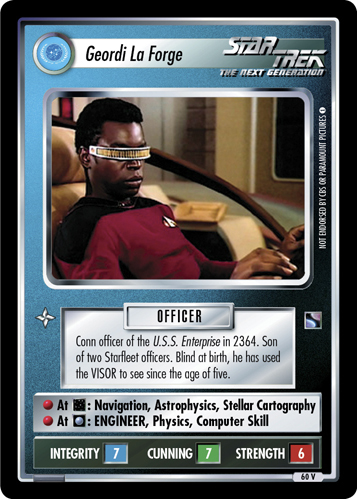 Commander Geordi La Forge is chief engineer aboard the U.S.S. 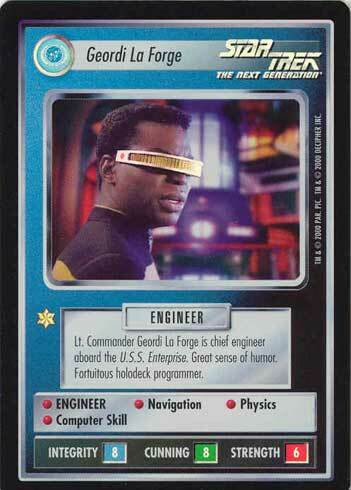 Enterprise. Great sense of humor. 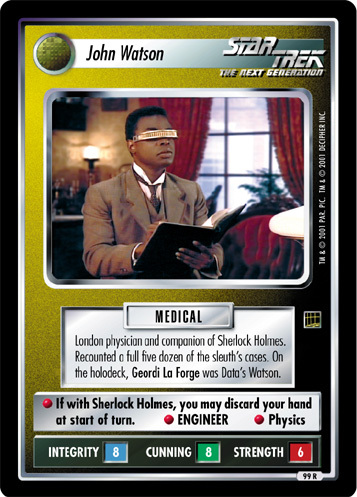 Fortuitous holodeck programmer.